Design is a fourteen line sonnet which explores the notion that nature and the whole universe is designed by a malevolent intelligence. It is based on the everyday observation of a spider on a flower holding up a dead moth but essentially the poem is playing around with theological argument. From a simple first person scenario the poem moves into more complex narrative, using paradox and allusion and other devices, before ending up with a sestet of puzzling questions. 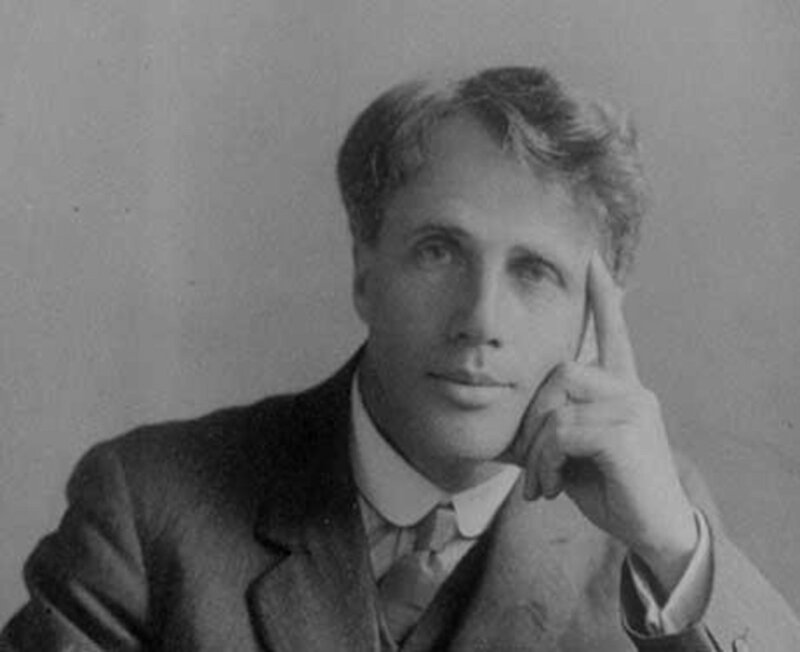 In typical fashion Robert Frost crafts his poem with technical ingenuity and ambiguity, leaving the reader to work out the answers to a series of questions that defy concrete conclusions. Irony lurks as always, and there are some fascinating shifts of rhythm and rhyme. 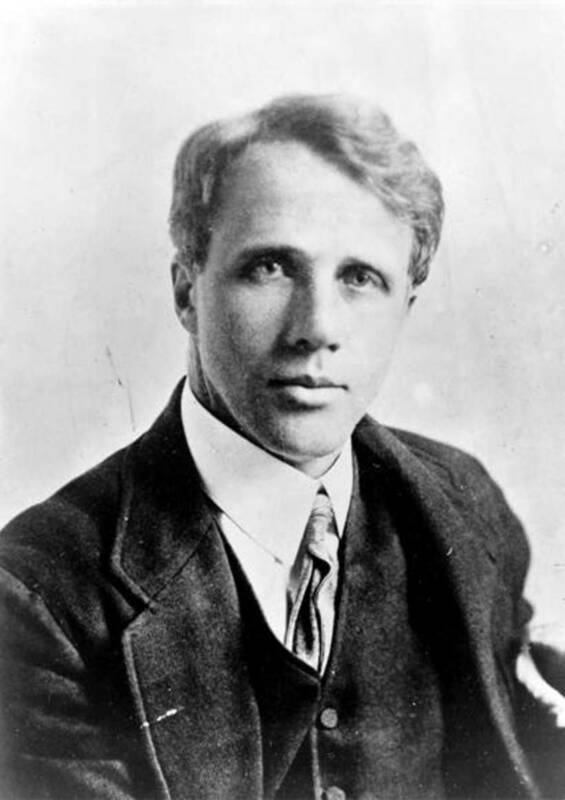 Frost's first attempt at this poem came in 1912 and he titled it In White. 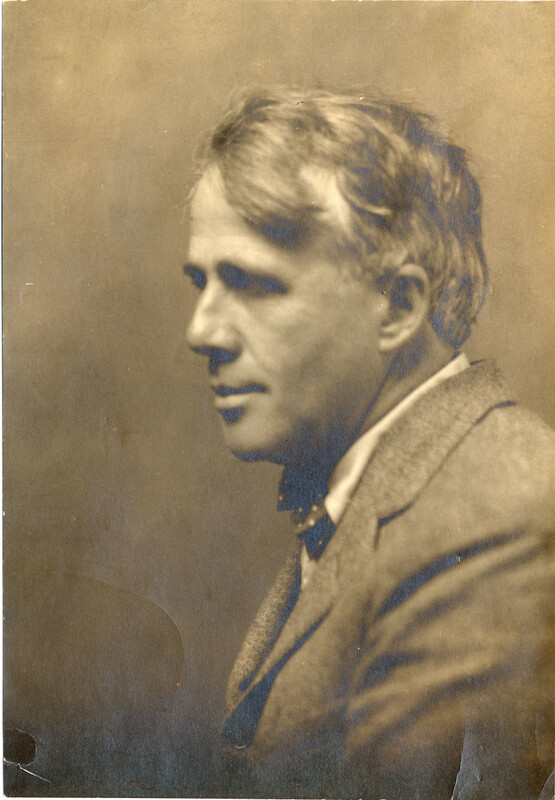 This first draught was altered ten years later when it was first published as Design (American Poetry 1922: A Miscellany), the definitive version appearing in a collected volume, A Further Range, in 1936. The mere word 'design' by itself has, we see, no consequences and explains nothing. It is the barrenest of principles. The old question of whether there is design is idle. The real question is what is the world, whether or not it have a designer -and that can be revealed only by the study of all nature's particulars. So, it is possible to imagine Frost the poet going out one day and observing the spider with the moth on the flower and being inspired to create his sonnet, having had inspiration from the writings of William James. Design is often seen as Frost's dark response to the classical argument from design, the argument for an intelligent benevolent God. This is why some teachers shy away from this powerful poem, believing it to be a construct against the existence of this good God. white/blight/right/kite/white/height/night and moth/cloth/broth/cloth and heal-all/appall/small. The octet is in fact one long sentence broken up into various clauses by astute use of punctuation - dashes and commas - and enjambment - when a line carries on to the next without losing meaning. In the third line the moth is likened to a piece of cloth and also in the eighth line, a paper kite. Spider, moth and flower are seen as the three ingredients of a witches' broth. 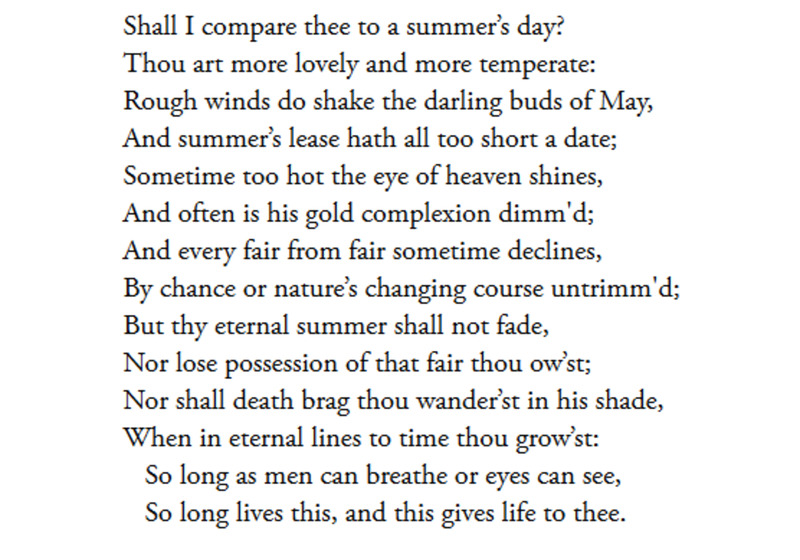 Note that in the sestet lines 9, 11 and 13 begin with the word What, which reinforces rhythm in the latter part of the sonnet as each question is rolled out. This technique is used a lot in the book of Psalms from the bible. Design does ask some profound questions about the nature of the universe, whether or not it is godless - or if there is an omnipotent intelligence why design darkness into the fabric of life? This sonnet starts off innocently enough, the steady iambic rhythm, familiar and safe, taking the first person speaker outdoors, where a slightly unusual spider is discovered on a wild flower, called a heal-all. The spider has probably just eaten. It's fat, well fed, dimpled like a baby, and sits on a flower - white against white. White is highly significant in this poem because it is mentioned several times. It is a symbol of purity and innocence and is often associated with angelic beings in the bible. And the flower is aptly named. It is a panacea for many different ills in herbal medicine so the fact that the spider is sitting on this plant suggests there is a benevolent relationship between the two? Hardly. The poet is being ironic, choosing white to contrast deeply with the dark business of the hunting and devouring spider, in cahoots with the ironically named heal-all. The moth is a prize being held high by the spider, like a piece of rigid satin cloth. This implies that the cloth has been ripped, a parallel with the death veils that cover the dead in a casket or coffin, now raised like a flag. The predator is victorious, the image becoming a little sinister - from the initial innocence fear is creeping in. And this fear mixes with surrealism in the fifth line, an echo of a breakfast commercial coming through as the three 'ingredients' are likened to a broth, no ordinary broth it turns out. In Shakespeare's Macbeth the three witches appear in the first scene, and taunt the leading protagonist with their hubble bubble toil and trouble chants. They eventually forecast his downfall, undermining the concept of freewill, implying that there is some grand design behind all life. The last two lines of the octet describe in rather playful terms what these special ingredients are - so the spider is a snow-drop, the flower a froth (a foam which was supposedly dropped on plants by the moon) and the moth's wings a paper kite. 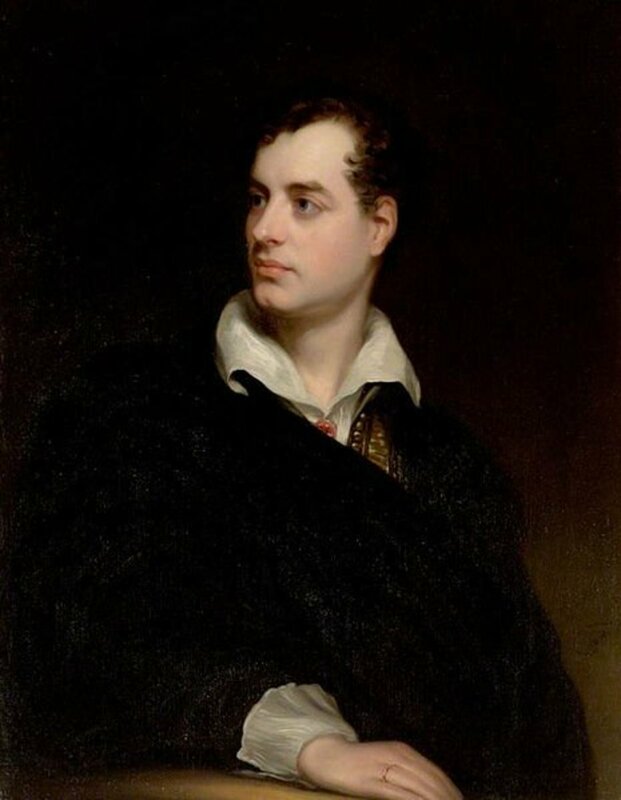 What is unusual about this sonnet is that the sestet, traditionally an 'answer' to the octet, becomes a series of questions, three in total, that in no way bring about an end result. Frost, a stickler for convention in his form and meter, has done away with tradition and left the octet unresolved. This suggests that there is no definitive black and white answer to the questions of design or no design? Malevolent intelligence? Good God? The manifested world, in this case the spider, moth and flower, reveal only so much to the speaker who is left with nothing but questions. Three in total, in keeping with the symbolism inherent in the sonnet. Three ingredients, three witches, three in the holy trinity, three questions. In the case of the flower, it is the perception of the speaker that is called into question. The speaker sees white, a freak of nature, because the actual heal-all is blue, the color of revelation. And how come the spider got to just the right height in time and space? Note the word kindred which means that the flower and the spider shared the same spirit; they were in relation to one another when the unfortunate moth came along. The speaker is attempting to make the case for a purposeful, fateful intelligence which is behind the movements of spider and the 'steered' moth, which brought them together at an exact time and place on the flower. Frost must have chosen this word to further complicate proceedings. The final line then brings uncertainty but the word 'govern' implies that there is a power in charge somehow, in some way, pulling the strings. 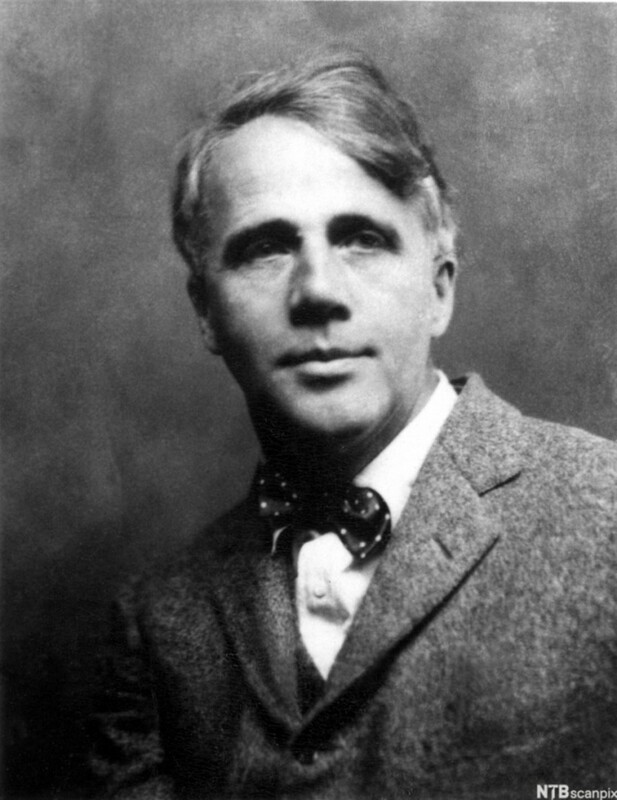 We can all learn so much from Robert Frost. Andrew Spacey, thank you for so penetrating analysis of Robert Frost. I believe that you have your poems too relating to God and Nature. I have no words at all to tell more about the article. I can just feel it as the nature around me. Appreciate the visit and comment Verlie Burroughs. Mr Frost and I continue to explore the wonders of word arrangement unperturbed, despite the empty comment boxes. 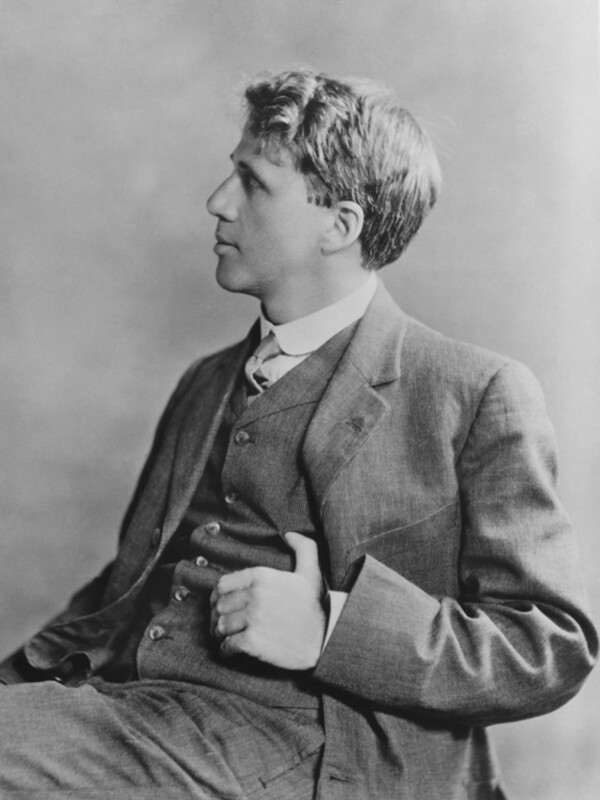 Andrew, I find it hard to believe your analysis of Robert Frost poem "Design" has received not one comment. I have saved this for reference, to glean what I can about poetry. Most valuable, thank you.